In this exciting new Merlin Mission, Jack and Annie go back in time to New York City, during one of the darkest periods in the city’s history–the Great Depression. Even worse, the city is in the grip of a terrible snowstorm. 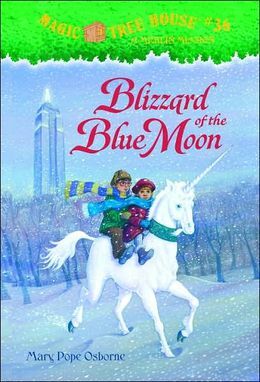 To stop the blizzard, Jack and Annie must save the unicorn made famous in the Cloister’s medieval tapestries. But will that be enough to help a city that faces so many troubles?